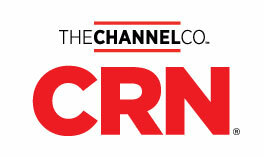 Welcome to CRN's 2019 Solution Provider 500/Fast Growth 150 application. To simplify the application process, we've combined both lists into one application. The SP500 will be announced June 3th, and the Fast Growth 150 on August 5th on CRN.com. Click here to download the revenue verification form. Please note that ALL applications must be submitted through the online form. The Word Doc downloadable form is for your data compilation purposes only and cannot be submitted. Must be a VAR/MSP/IT Channel Reseller. Technology Manufacturers are NOT eligible unless they have a services branch, in which case only revenue from that part of the company is valid. Must provide revenue verification to finalize your submission (you will be prompted upon application submission). Fields marked with an asterisk (*) are required. Please note that by deleting or disabling cookies, you will not be able to access your previously entered data. 1. The person filling out this form will be CRN's primary contact should any questions arise. Your Title *This question is required. Your Organization *This question is required.